The leaves are changing and the temperature is dropping. Summer has left us and Fall is in full force! Over the last few weeks Boehm’s has begun production for the upcoming Holiday Season. The smell of gingerbread or peppermint bark wafting through the halls, the sight of molded Santas or the colorful red and green sprinkle decorations -it is hard to resist the excitement that builds up in most of us since we were small children during this special time of year. This year we have in place our new website. This will be helpful for those that think of gifts past our closing time or for those that live too far to visit us. Our website also gives an option for in-store pick up. Great for those that know what they want and want to avoid standing in any line during this busy season. If you purchase items to be picked up in store, you do not need to take a number but can go directly to our Express line to pick up your order. We want to take a moment before closing our very first blog to tell you, our customer, how much we appreciate you and the support and loyalty to our product. 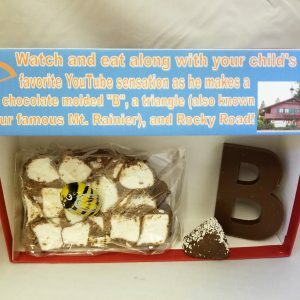 We strive here at Boehm’s to make only high quality confections and enjoy seeing the pleasure our customers have in tasting and enjoying our products! 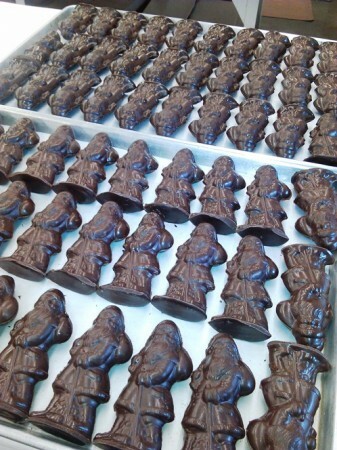 Here are a few pictures of just some of the holiday products our elves have been working hard on. « Previous Post: Welcome to our new website! Is your Issaquah shop open on Christmas Eve? We will be visiting that area and would like to come in and purchase some items. Good Morning, Yes, we will be open on Christmas Eve from 9am-4pm, and closed Christmas Day. Just for your information, our December hours are M-Sat 9am-7pm and Sun 10am-6pm, with exception to 12/24 & 12/31 hours will be 9am-4pm and closed on 12/25 and 1/1/14. Thank you and have a sweet day! I am looking for a dark chocolate advent calendar…do you make one? Unfortunately we do not have an Advent Calendar in dark chocolate, and I’m unaware of anyone else that has that. 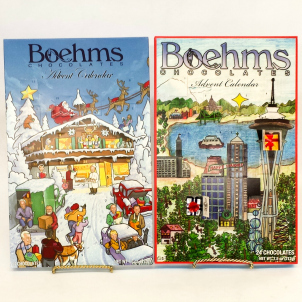 We did have a Seattle and Chalet themed milk chocolate Advent Calendar, but we sold out of both themes yesterday. Good luck on your search, I hope you can find a dark chocolate one out there, I think they are pretty hard to come by. 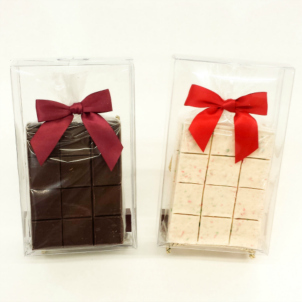 do you still have the peppermint bark sampler? Hello, I’m sorry, we currently do not have anymore peppermint bark. 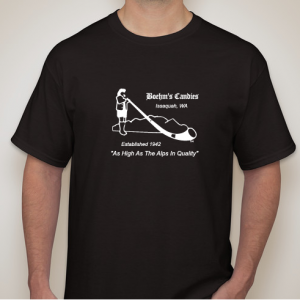 We only make this for the holidays, so generally they are only available from November through December.